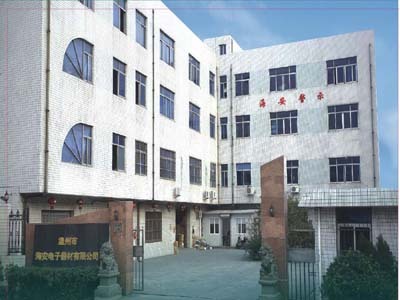 Wenzhou Haian Electronic Appliance Co., Ltd. is a manufacturer established in 2006, specializing in the production of Emergency Light bars, Led Super Brightness light bars, Strobe Lights, Sirens and Speakers, LED Signal Light, Police Equipment, and other Safety & Security Accessories. Certified with ISO9001:2000 quality control system standard & CE approval, Haian people hold the faith of keeping credit and serving customers well, we have earned highly appreciated fame both in domestic and abroad. Our company has taken the lead in the same business line because of strong technical team and good after-sales service system, and also awarded well-known reputation in Chinese Government.